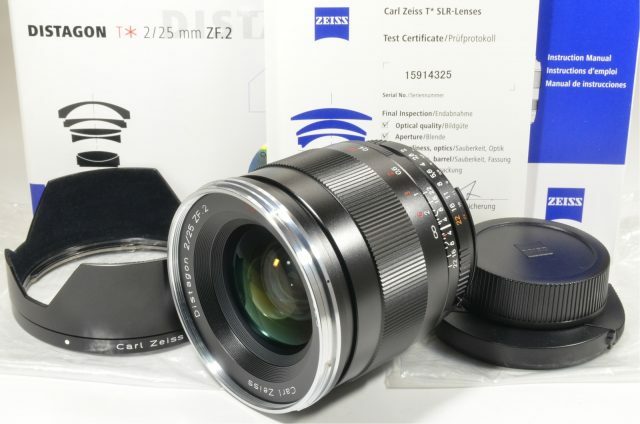 Carl Zeiss Distagon T* 25mm f2 ZF.2 for Nikon ‘Brand New’ UNUSED! The Zeiss Distagon T* ZF.2 lens is compatible for Nikon digital cameras. It is a wide-angle lens that is capable of capturing many objects in one shot. This Zeiss camera lens for Nikon extends the natural scanning capabilities of a 25 mm focal length lens so that photographers can fit everything into the picture at once. The 25 mm f/2.0 lens has a manual focus, which gives the user control over the focus feature. An f/2.0 aperture gives users the ability to take pictures at an extremely fast rate with the Zeiss Distagon T* ZF.2 lens. The 25 mm f/2.0 lens also allows for clarity in settings with the lowest natural light. This particular Zeiss camera lens for Nikon makes for an exceptional accompaniment for professional photography equipment, all while providing easy use. 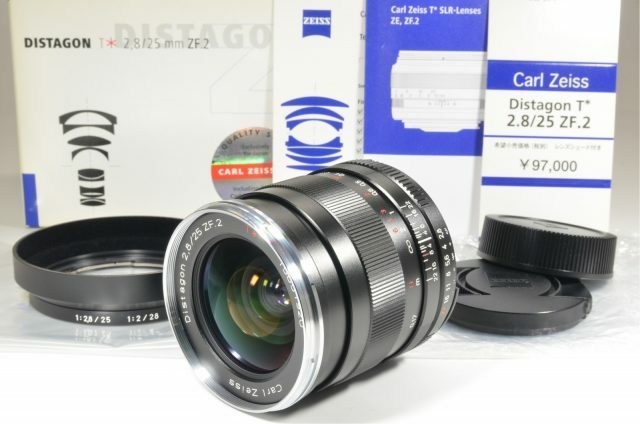 The Zeiss Distagon T* ZF.2 lens also requires a Nikon F mount for proper lens mounting.